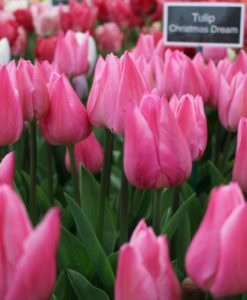 Buy Zantedeschia (Calla), Fruit & Veg seeds and plants, and Spring & Summer flowering bulbs right here at Brighter Blooms! Welcome! Known to the public mainly for wedding flowers and for flower arrangements, our displays places the emphasis on a different way to enjoy the plant, namely growing it in containers, as a patio plant. We thought it was important to familiarise the public with the extensive range of varieties. This is why at the Chelsea Flower Show 2015 we’ve exhibited 25 different varieties of Zantedeschia. We think that focusing on just one genus for the summer growing season for the past several years meant that we have made all the mistakes possible, and we can now advise our customers on the best ways to successfully grow Zantedeschia. For those interested in grow your own, we display and retail baby leaf salad seeds, as well as plant material needed to establish an all edibles garden. These include bare root fruit trees, soft fruit, rhubarb, strawberry plants, and a wide range of vegetable seed and seed potato and many more. And because we know horticulture is best done in the community, we also actively support a local community group in Preston, the Friends of Fishwick and St Matthew’s, by working alongside the members and by supplying the community garden in Ribbleton Park with edible and decorative plants and bulbs.